Within the worlds of pop culture, there are certain bodies of work that are so powerful in their impact, that their reputations can precede them through their own inspirational descendants. A perfect example of this is “The Lord of The Rings” by J.R.R. Tolkien. This groundbreaking saga set the tone for the vast majority of medieval fantasy. To this day, any “sword and sorcery” story can be separated into groups depending on the similarities and differences in relation to Mr Tolkien’s works. The same principle applies to mob based crime noir movies made after Francis Ford Coppola’s “The Godfather”, or any sci-fi movies made after the 1977 classic “Star Wars”. These works made such a big splash in the ocean of creativity, that the waves are still rippling. There are examples of such influential works that succeed so well at inspiring further works, that they get lost in the shuffle. Obscurity is the price of inspiration. “The Incal” by Alejandro Jodorowsky and Moebius (a.k.a. Jean Giraud) is precisely this kind of work. In the introduction to the 2014 hardcover edition, acclaimed US comic book writer Brian Michael Bendis specifically urges readers to not imitate the work. Reading into the story itself, it soon becomes not too hard to see many ideas and elements that other creations have imitated. Beginning publication in 1981 as a serialized story in the French magazine “Metal Hurlant” (known in Anglophone countries as “Heavy Metal”), the saga that would come to be known as “The Incal” follows the misadventures of John Difool. This character is a low level private investigator who encounters a powerful artifact known as The Luminous Incal, which pulls him into a further escalating series of events with intergalactic consequences. By the end of the primary story in 1988, Difool’s journey takes him across two galaxies and results in the reshaping of the entire universe. As stellar as Mr Jodorowosky’s writing is, the even bigger stand out for “The Incal” is the groundbreaking art by Moebius. Moebius is an iconic artist. His clean, yet complex style captures the eye and draws readers in, especially his sprawling, futuristic cities and lush, bizarre alien landscapes. 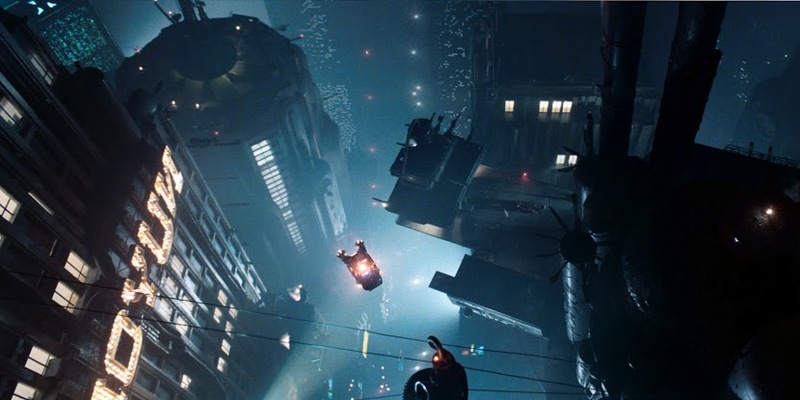 Moebius’ designs have been cited as influencing highly successful Hollywood motion pictures such as “Blade Runner”, “The Matrix” and the “Star Wars” prequels. The biggest, and clearest example of “The Incal” influencing a future work, is, without a doubt Luc Besson’s 1997 cult classic “The Fifth Element”. The inspiration was so clear in fact, that Mr Jodorowsky and Moebius sued for plagiarism. 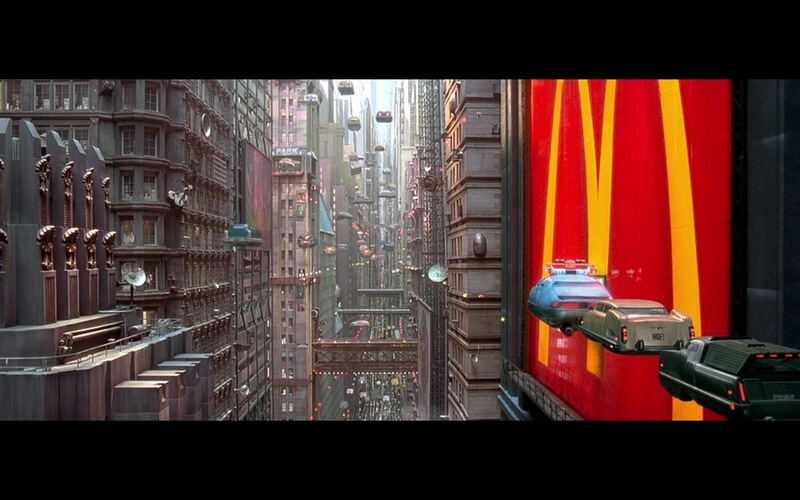 Although the case was lost (in part because Mr Besson had hired Moebius to do production design for the film), it was noted in the judgment that “tiny fragments” of “The Incal” had been used in the creation of “The Fifth Element”. 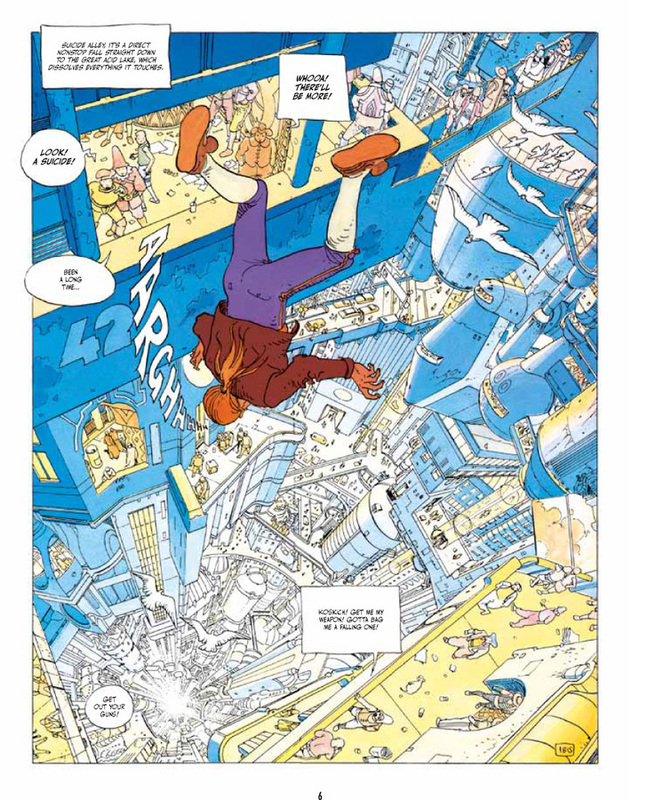 Mr Jodorowsky and Moebius had already published “A John Difool Adventure”, the first of several stories that would eventually become “The Incal”. “The Incal” is a work of brilliance that anyone who appreciates great sci-fi, or the comics medium in general, should read. Aside from the eye opening look into a large link the cultural chain of inspiration, the work is worth a look in and of itself. The expansive mix of grand stakes and gutter humor are a treat to behold and the art truly stands the test of time.